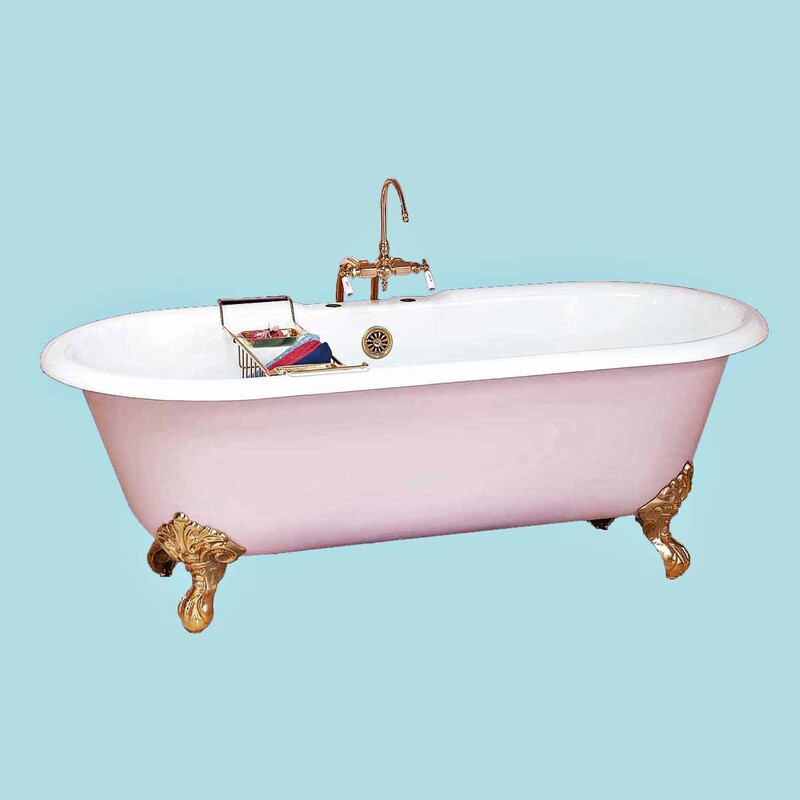 Turns bath time into a wonderful luxury? 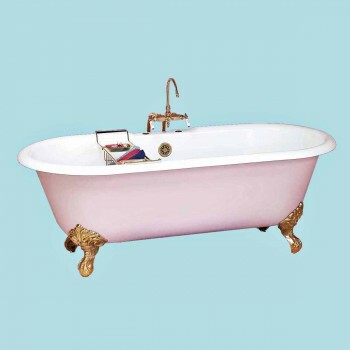 Adds an authentic period look of distinction? 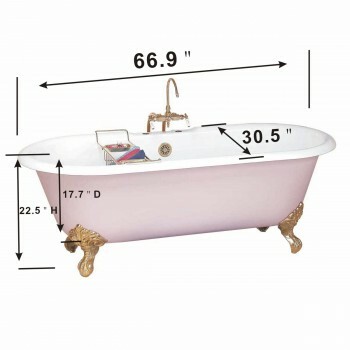 Makes your bath the most popular room in the house? Comes with holes for dual mount faucets? Is made of the finest heat retaining cast iron? 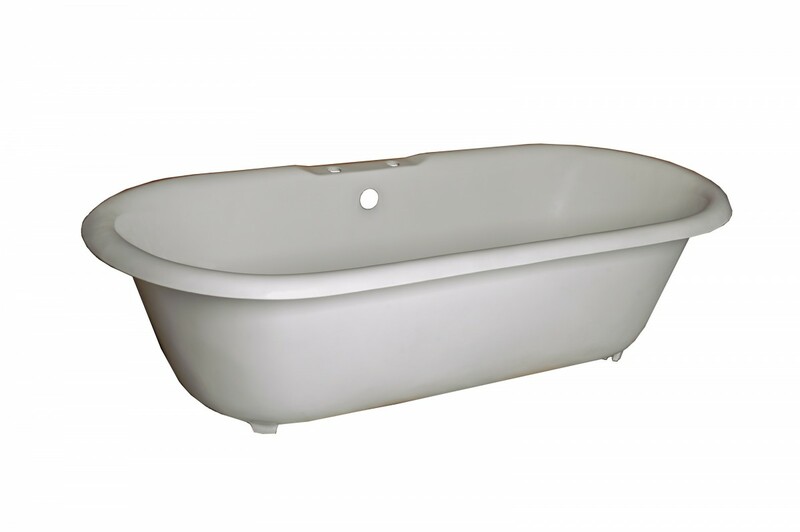 Big enough for two, this dual cast iron tub with deck mount holes takes water supply lines 19543 or 19544. Outside primed white, ready to paint (CANNOT use oil-base paint). Center drain hole. 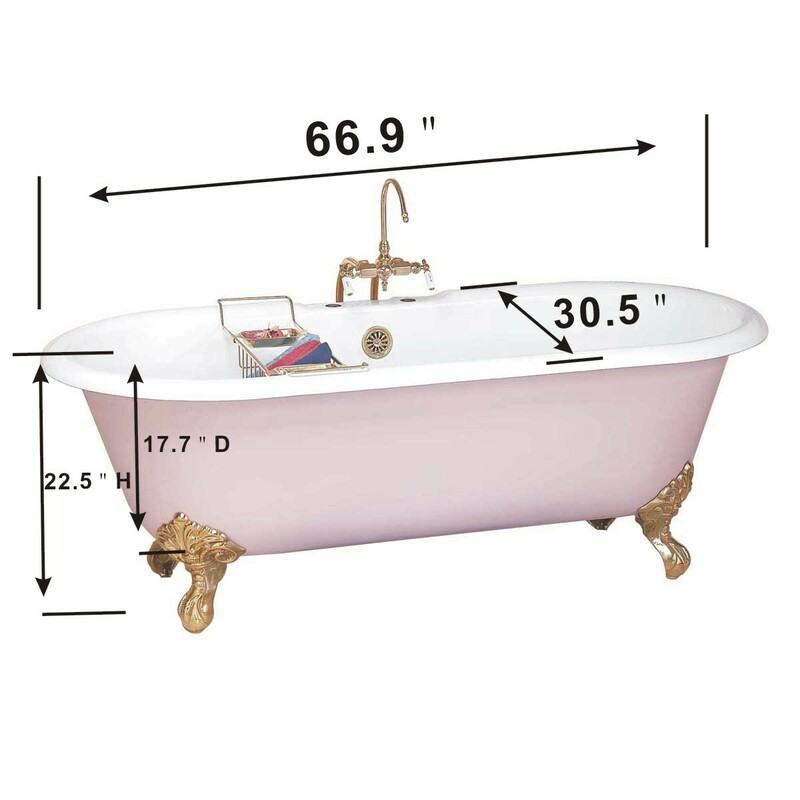 Tub Does NOT come with feet. 30 1/2" wide, 67" long x 17 23/32" deep.